Finally, a tape that eliminates the need for a dispenser. Now you can SEE and FEEL the slightly extended oval DOT where you place your finger underneath to lift up and pull effortlessly to WHATEVER segmented 12” length needed, and simply pull at the perforation to tear. 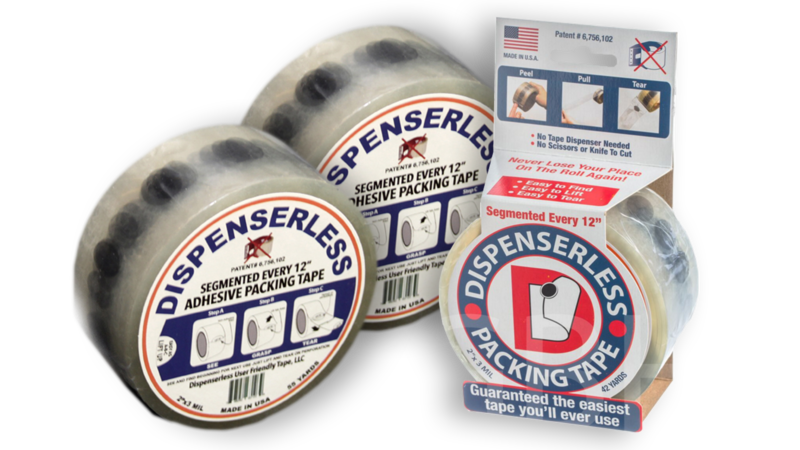 No more dispensers, blades, teeth or tools needed to use this revolutionary tape!